The Omnipure Espresso Machine Water Purifier has been designed specifically for the treatment of water to be used with commercial espresso machines. 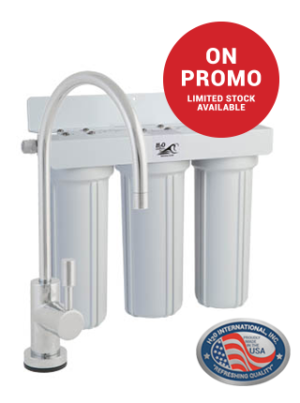 Utilizing a combination of Omnipure’s specialized ELF XL series of filter cartridges, which are specifically designed for use in the food and beverage services industry, the system focuses on treating the main aspects of water quality that are important to espresso machine applications, namely; chemical removal and taste and odour improvement, and reduction of scale formation. The first filter cartridge is a scale inhibitor, designed to prevent scale formation and protect the pipes, tanks and elements of expensive espresso machines from damage and impeded performance due to scaling. Scale build up on elements also increases the power consumption used by boilers and eventually leads to elements burning out. 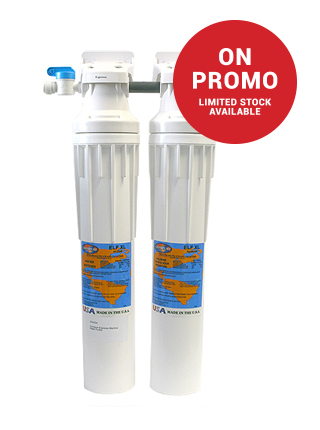 The second filter cartridge is a 10 micron activated carbon block designed to remove harmful chemicals and contaminants commonly found in tap water like chlorine, pesticides, industrial solvents and disinfectant by-products. 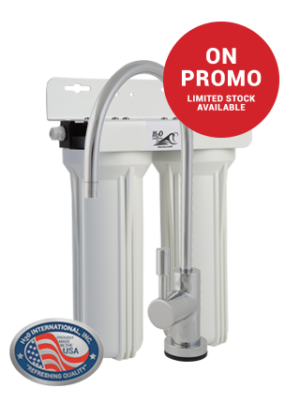 The cartridge also improves the taste, colour and odour of the water, and the densely packed carbon filter acts as a 10 micron sediment filter removing suspended particles.The filter cartridges utilize a bayonet-style fitting for quick and easy cartridge replacement, minimizing coffee production down-time. SKU: UCU034. 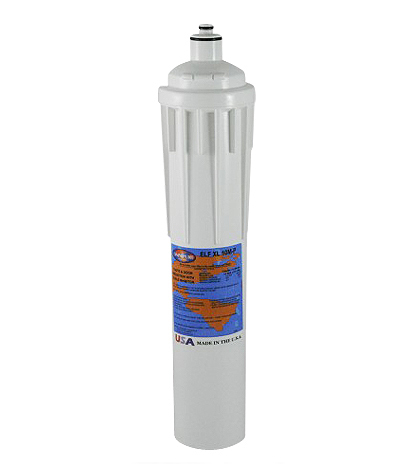 Category: Submerged Prices, Water Purifiers and Filters, Appliance and Refridgerator Water Filters.